Plan & Go | John Muir Trail is the ultimate guide to hiking America’s most renowned long-distance trek between Yosemite Valley and Mt. Whitney. 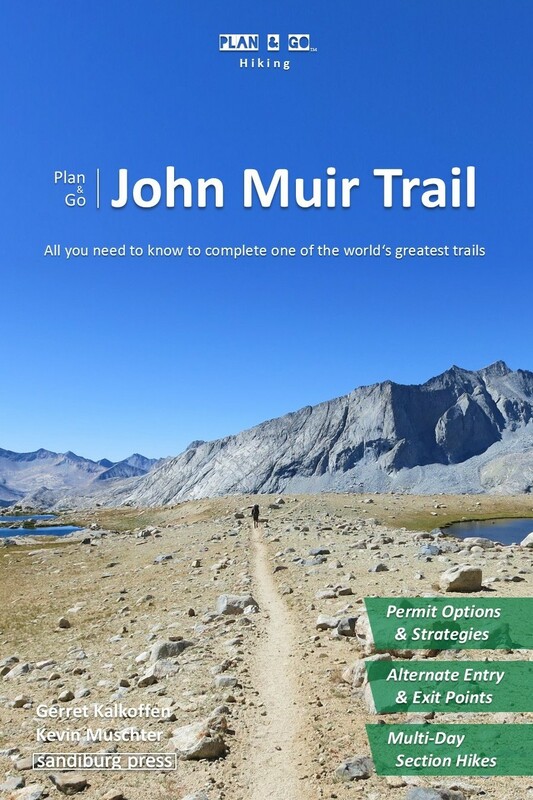 In response to the ever-increasing popularity of the John Muir Trail, this fully-updated 2nd edition offers a more comprehensive overview of available permit options and reservation procedures as well as alternate trail access and exit points. It also includes detailed descriptions of popular JMT section hikes that can be completed in a week or less. Plan & Go | John Muir Trail is the ultimate guide to hiking America’s most renowned long-distance trek between Yosemite Valley and Mt. Whitney. In a clear and concise manner, the book illustrates the highlights and unique characteristics of the JMT and provides details on all essential planning topics to save you time and effort with your own preparations. 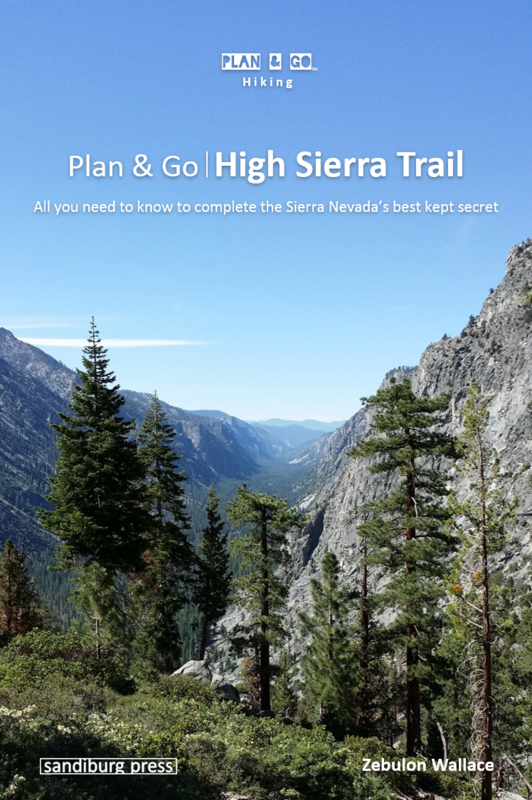 Supported by step-by-step instructions and first-hand recommendations, you will be well-equipped and feel more confident about completing this memorable adventure in the California Sierra Nevada. How do I prepare for the JMT? What is the best permit strategy? Where can I send my resupply? In addition, Plan & Go | John Muir Trail offers practical advice on athletic training, which food to pack and in what quantities, how to select appropriate gear, and various other essentials for the trail. The book further includes detailed elevation profiles of the trail along with an overview of popular multi-day section hikes to help you create an itinerary that best suits your personal preferences. The wealth of facts and figures is topped off with the entertaining and motivating account of the author’s own 15-day JMT trek amidst the breathtakingly beautiful High Sierra peaks. Gerret Kalkoffen was born 1981 in Hamburg, Germany. Since before he can remember, his father took him along on hikes and sparked his love of the outdoors. Gerret has since enjoyed hiking trips in various parts of the Alps, the Philippines, China, New Zealand, Canada, and the U.S. With his background in business and engineering, Gerret is always interested in improved gear and technical solutions. Besides the peace he feels when in nature, he enjoys the physical challenge the mountains pose. Kevin Muschter is a seasoned backpacker who was first introduced to the fascinating world of hiking by his parents during family vacations in the beautiful Czech Giant Mountains and Saxon Elbe Sandstone Mountains in Eastern Europe. Inspired by those early adventures, Kevin went on to travel and explore Europe’s largest mountain range, the Alps, on foot and on skis throughout the years. In 2011, he moved to San Diego, CA, which quickly became his gateway to United States’ vast and varied backcountry. To Kevin, hiking is a great way to escape the comfort zone and reconnect with nature.